RSL1667 - Sister ship to RSL1654. History of RSL1667 which is now being lovingly restored at the RAF Museum Cosford. Please note that RSL 1667 is not on public display, but being worked on inside the Michael Beetham Conservation Centre, which is not a public building. 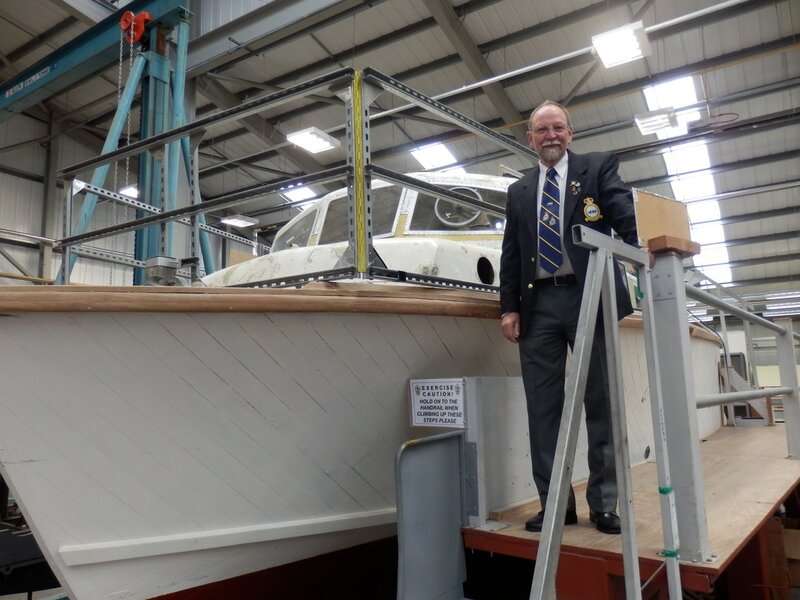 There are Conservation Centre open weeks where it can be viewed, and the next one is the week of 10-16 November 2013, but please check on our websitewww.rafmuseum.org for future events. Ordered 1955 under contract 6/MC/1669/CB21 (a). RAF number RSL 1667. Built by Groves & Guttridge, Cowes, Isle of Wight 1956 as yard no. 567, as one of 29 RSLS built in the mid-1950s for the RAF; taken on charge by RAF July 1956; allocated to 238MU Calshot 31 July 1956; used in UK waters at RAF Thorney Island ( this base being a detachment of No 1107 MCU) from 4 September 1956 until 14 October 1958, returning to storage at 238 MU Calshot. Allotted back to UK 10 February 1970, going to RAF Mountbatten, Plymouth for repair and storage. 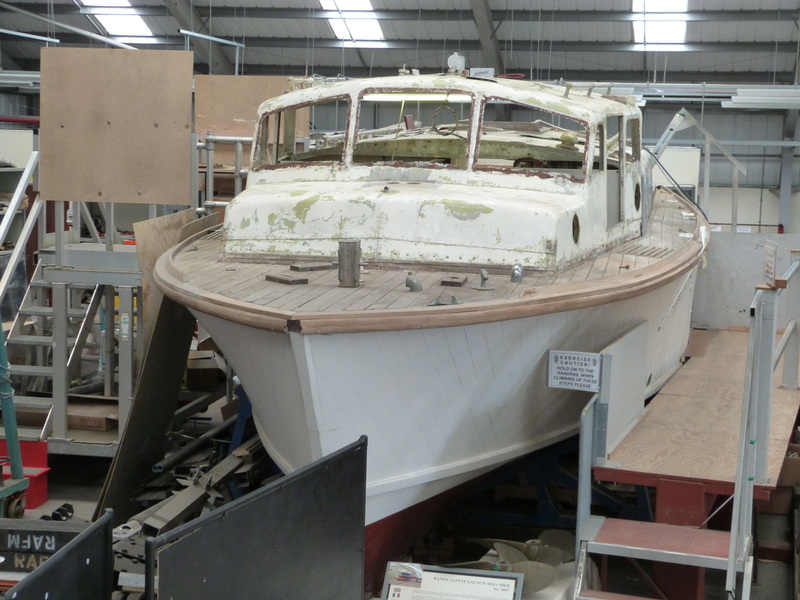 Moved to Royal Naval Gunboat yard at Haslar for further repair and subsequent storage. 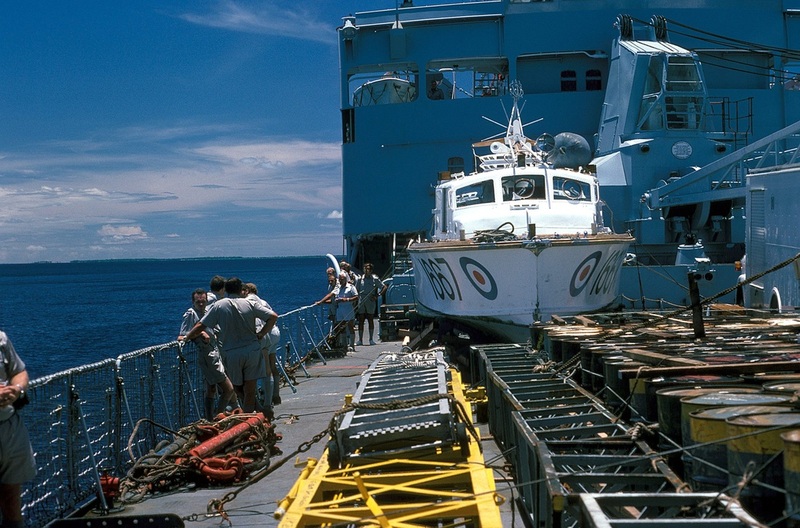 Following allocation on 5 March 1973, served at 1125 MCU at RAF Gan 1973-until closure in 1976; used to ferry VIPs and to act as a control launch to take officers from the MCS out to ships that required a pilot to assist them in entering the narrow entrance into the atoll. Transferred to British Army 5 January 1976 and last used by the Army, now named Minoru, from 1977 at Gunwharf base, Portsmouth, supporting the firing range at Lulworth, and Marchwood Military Port (Southampton Water), operated by No 20 Maritime Regiment Squadron, Royal Corps of Transport. 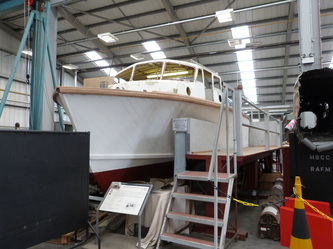 For army service, had a lattice mast fitted and liferaft stowage moved accordingly. 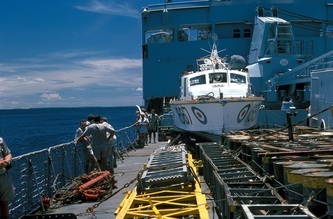 Declared surplus 1980/81 and offered for sale by competitive tender March 1981 whilst lying at HMS Vernon, Portsmouth. Initially sold for £8,743 in 1981, into private ownership in South Wales. Later sold to Irish civilian owners 1986. Registered in Dublin and operated in Southern Eire as 'Wicklow Research', and occasionally operated under contract to the Irish Air Corps for helicopter SAR training with a platform built over the rear decks. Cockpit decked over and safety rails added. Delivered from Cromarty to Aerospace Museum Cosford January 1996. Restoration project authorised 1996 and ongoing in 2010.